FACTORY WARRANTY!!! 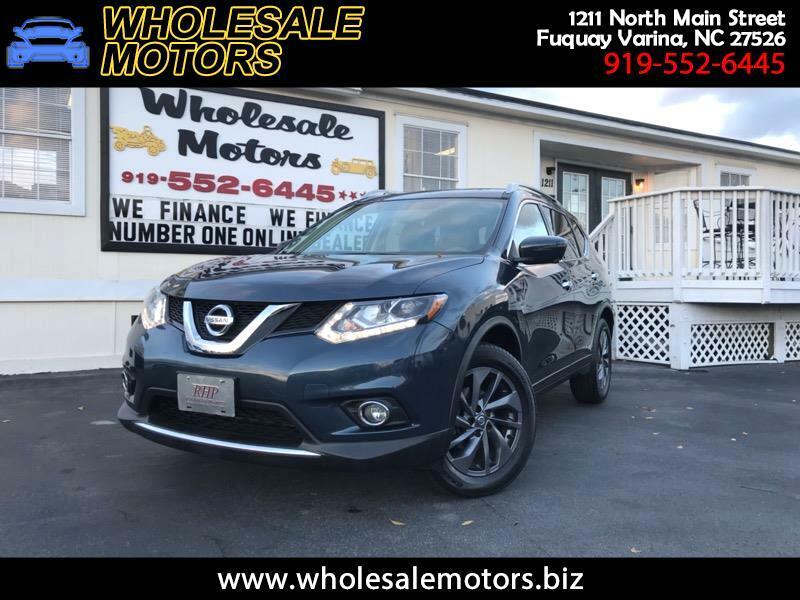 CLEAN CARFAX/ 2016 NISSAN ROUGE SL AWD/ NAVIGATION / HEATED LEATHER SEATS / PANORAMA SUN ROOF / LITER 4 CYLINDER ENGINE/ AUTOMATIC TRANSMISSION/ FULLY SERVICED/ 120 POINT INSPECTION/ AM/FM RADIO/ POWER WINDOWS/ POWER LOCKS/ MOON ROOF/ BACK UP CAMERA/ HEATED LEATHER SEATS/ POWER TRUNK LID/ NAVIGATION/ CRUISE CONTROL/ STEERING WHEEL CONTROLS/ WE FINANCE!!!! Warranty Description: NISSAN FACTORY WARRANTY.